Dance along with this cute Jellycat unicorn. Her name is Darcey and she is 23 cm tall, the little unicorn. Suitable from 1 year. 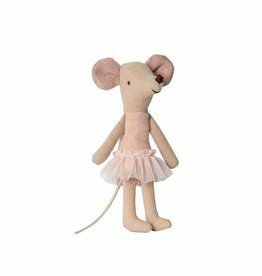 Sweet and adorable Maileg ballerina mouse girl. Let's dance and cuddle with Dancing Darcy Hippo, our new Jellycat cuddle. Let's cuddle and dance with this adorable Maileg ballerina bunny! Let's dance with this Jellycat unicorn!